It’s probably a bit mean to turn your thoughts to summer when we are barely into winter but these adorable sun visors will give you something to really look forward to. Etsy shop Twirling Betty is home to a superb collection of 1950s inspired accessories. 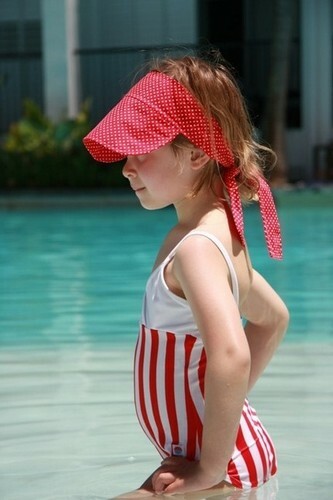 The super fabric sun visors are perhaps the most stylish solution to sun protection I’ve come across. They are adjustable to any head size (I know a few Babyology writers would like one of these) and as designer Christen Dell suggests, they are perfect for any activity from strolling, riding and playing at kindergarten to undertaking her preferred sport – sitting in the sun drinking Pimms. The fabric brim of each visor is slightly stiffened so it holds its shape yet is soft enough to be folded or scrunched into your pocket. Quite possibly you will need one for the car, one for the pram and one for your handbag – while you’re at it you may as well choose different fabrics although I love the yellow and while polka dots. 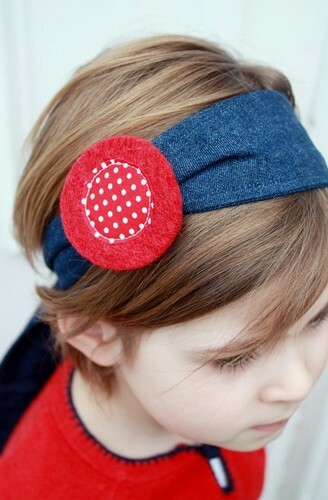 While you’re waiting for summer, you can still enjoy a little Twirling Betty retro style – the tie-back headbands featuring felt ‘buckles’ and slides for a splash of colour are sublime (and just as good for mummies as they are for little girls). Mix it up with different coloured buckles and slides available separately. Sun visors are US$25 and headbands are US$20. Twirling Betty is an Australian store but all Etsy prices are quoted in US$ – convo Christen to shop in Australian dollars.